If you’re looking for Navy Exchange deals and savings opportunities, but don’t have the time to scour dozens of different sites yourself for the right coupons or discounts, you can find all of that and more in one place at MyMilitarySavings.com. We understand how busy life in the military can be, which is why we have dedicated ourselves to gathering together discounts from a variety of sources and hosting them on an easily navigated site. Plus, we provide convenient links to the Navy Exchange that you can use to view even more savings information before your next shopping trip. The My Home Base page, where you can save the base you’re stationed at as your location in order to see savings information, videos, maps, and other information relevant to your local area. The My Home Base Circular, a sharable interactive online ad where you can click any item within the document viewer for additional information about that product and related savings information. The My Shopping List tool, which allows you to click any items you see on our site and add them to a digital shopping list that you can either print out or take with you to the exchange on your smartphone. In addition to the Navy Exchange deals you’ll find on our site, we also provide access to savings opportunities for your local commissary. That includes helpful links to the Defense Commissary Agency (DeCA) website, where you’ll have quick access to coupons you can load directly to your Commissary Rewards Card. 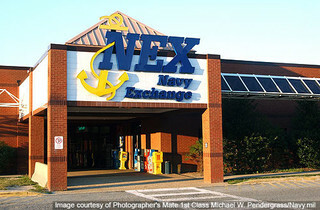 For more information about the Navy Exchange deals you’ll find for incredible savings opportunities, sign up for a free account at MyMilitarySavings.com today.